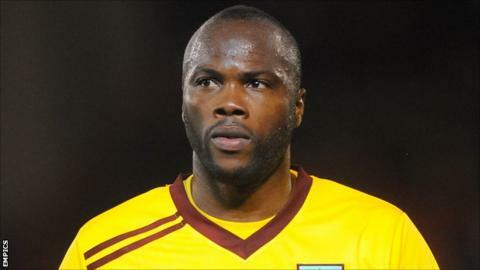 Middlesbrough have signed Cameroon international defender Andre Bikey on a one-year contract. The 27-year-old had been training with Boro following his release by Burnley at the end of last season, and becomes boss Tony Mowbray's 12th signing. "I'm excited about the chance of helping Middlesbrough get back into the Premier League," Bikey said. "The club just missed out on the play-offs last season and I can sense the ambition to go one better this year." Bikey, who has 20 caps for Cameroon, impressed during a loan spell at Bristol City last season and has Premier League experience with both Reading and the Clarets. "Andre is a player I have liked for a long time. He is a different type of centre-half to what we have got," Mowbray said. "He is a very powerful defender who has real physicality and he also has good technical ability. "Andre hasn't played a great deal of football in the last year but when he gets up to speed our supporters will see the qualities he possesses."